Was it sitting in, finishing the last of the leftovers from your Christmas banquet? Preparing yourself mentally and physically to get back into the swing of normality? Or were you one of the lucky ones to attend this year’s SITE Global Conference in Thailand? No matter what you were doing, it’s probably fair to say it was a far cry from the excitement that attendees of SITE’s Global Conference were experiencing in Bangkok. The lucky few attending one of the most anticipated events of 2019 are all in bedazzling Bangkok and you’re in doleful Dublin witnessing the celebrations from across the world. Welcome to my experience of the SITE Global Conference 2019. Needless to say I got an acute attack of envy, jealousy and FOMO or some combination thereof as the hundreds of social media posts supporting the viralling hashtag #SITEGC haunted me from 7 hours ahead. One speaker at the conference was so inspirational that he could have sweetened the bitter taste from any of my bitter morning coffees. Artist, Phil Hansen delivered a keynote session entitled “Embrace the Shake”. The term comes from Phil’s personal story of transformation. After developing a career-ending tremor in his drawing hand, Phil embraced his “shake” both physically and metaphorically by redefining his limitation as an impetus for creativity. Although I was watching it on a computer screen, in another time zone and through the viewpoint of social media snippets – this keynote speaker’s message was delivered powerfully; we can rise above any challenge and embrace the shake. 2018 President Annamaria Ruffini, CIS, CITP, CMP, passing the reigns to the 2019 SITE President, Philip Eidsvold, CIS, CITP. Discovering temples, flower markets and more in Bangkok! 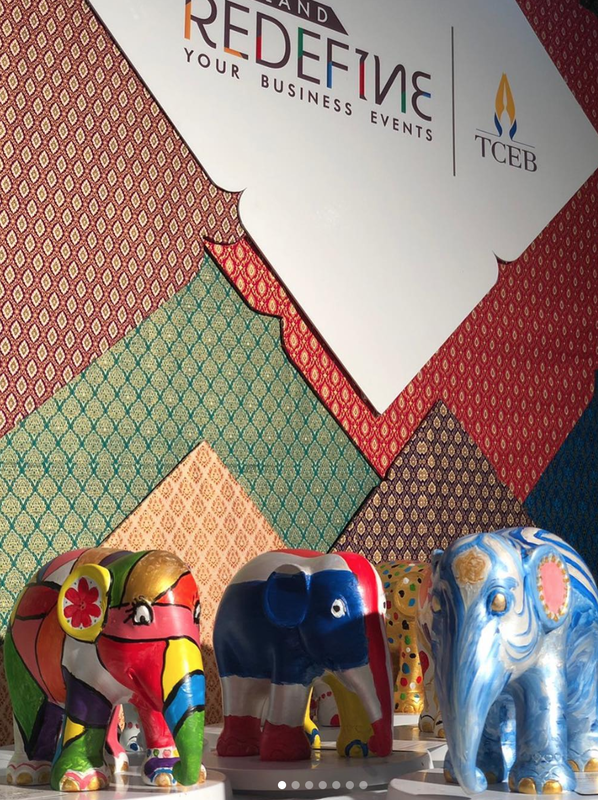 Elephants hand painted by #MICEprofs and sold at auction to raise funds for ECPAT and an elephant sanctuary. Singing out the end of #SITEGC #SITEGCBKK2029! As #incentiveprofs and #meetingprofs made their journies home and I welcomed my colleagues back with open arms to reality, I hoped that this state of missing out would have resolved my mental health, at least until next year. Let the show begin! Tuk Tuk Tour around Bangkok @SITEGlobal Conference. We are looking forward to show you what SITE and our Thailand team have prepared for the next days. For more on me, my writing and any FOMO stories you may have, get in touch by emailing me at [email protected] or via twitter @AislingCoffey7 . We also have a super website to show you everything we do here at SoolNua. Head over to SoolNua.com to find out more about us!